A series of unofficial renderings show what the Galaxy Note 10 might look like. We discover a smartphone with the same screens as the S10 +, but with a stylus and a quadruple photo sensor. All with pretty acid colors. The Galaxy Note 10 is to be unveiled by Samsung in just under six months. What will Note 10 look like ? As usual, Samsung is introducing the launch of Galaxy S with a launch, a few months later, of a new model in the Note range. 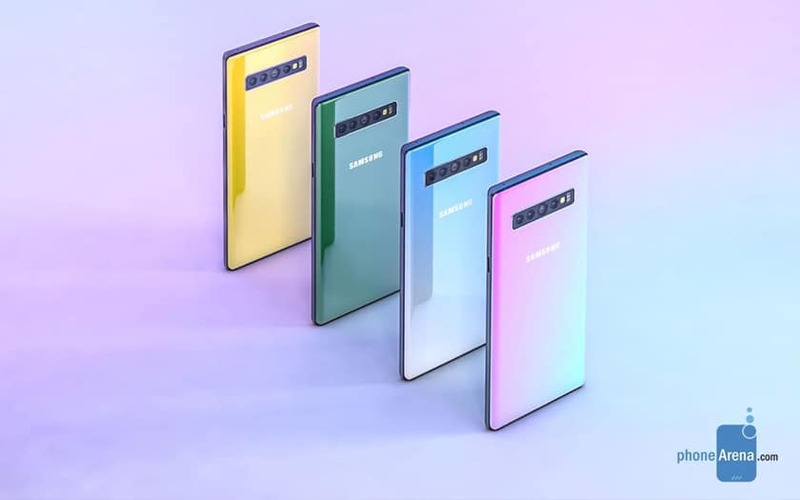 And like the S10s before them, Note 10 is starting to get enough rumors for designers to start rendering online. The Phonearena site publishes a series of renderings based on the last sounds of corridors around the smartphone. 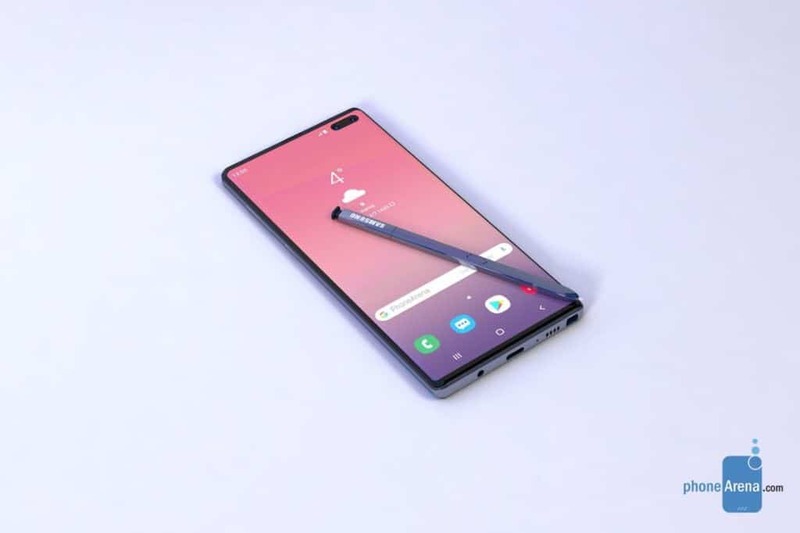 They may be wrong – but Note 10’s design is expected to change relatively little, and is dominated by a new Dynamic AMOLED Infinity-O display like the Galaxy S10 . We do not know yet the exact size of this screen. Some reports mention a surprising size of 6.66 “, smaller than the anticipated screen size on the Galaxy S10 5G. Which would be a first: the ratings are generally larger than the largest of the S released the same year. At the back we discover a quadruple photo sensor . Although this is not confirmed, it seems that a quadruple photo sensor will also be found on the S10 5G. The same thing about the future Note 10 is not necessarily a heresy. This quadruple sensor could consist of the triple sensor of the S10 + a ToF sensor for the depth of field. The S-Pen could also evolve: Samsung could equip it with a camera , after having a button to remotely trigger the taking of pictures. A Samsung patent exists – but let us emphasize that this does not confirm that it will be found on the Note 10 stylus. And one wonders, among other things, if the hole of the screen would be really essential in this case. We invite you to admire two of Phonearena’s renderings. Others are available on their site .